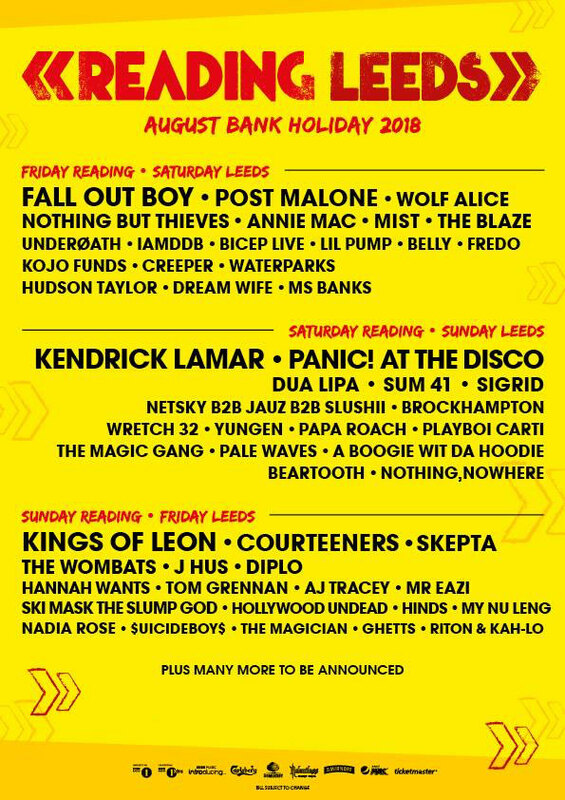 Kendrick Lamar, Fall Out Boy and Kings of Leon have been confirmed as the three headliners for Reading and Leeds Festivals 2018. The trio will head up a bill that also includes Panic! 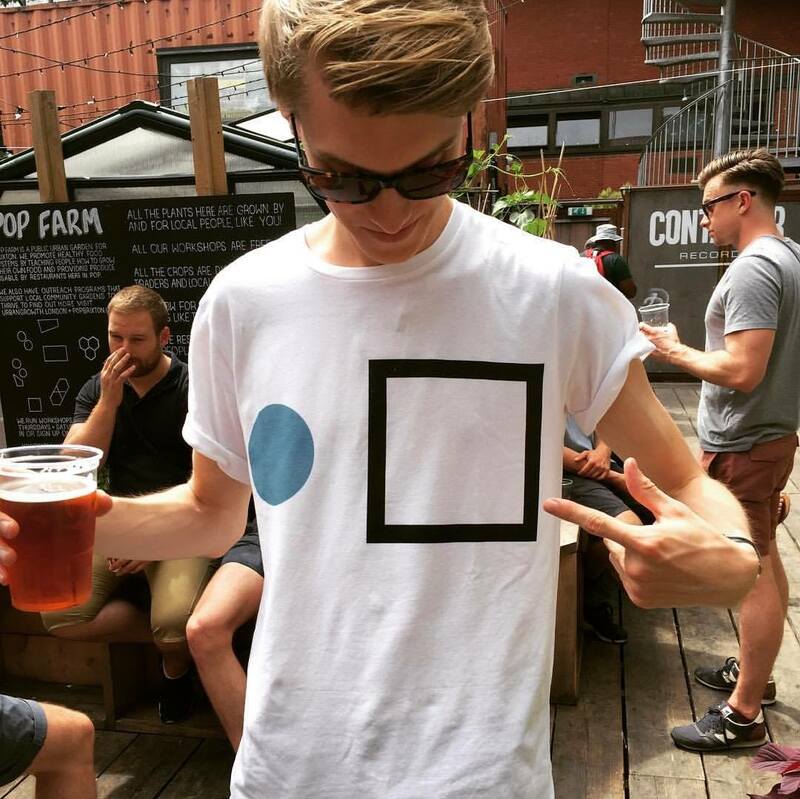 at the Disco, Skepta, Wolf Alice and Courteeners. After releasing his world beating third album DAMN. last April, Kendrick Lamar has cemented himself as one of rap's biggest names. The new owner of five Grammy awards is currently in the midst of a sold out UK tour, and is stop at Reading and Leeds this August already looks set to be one of the performances of the summer. Kings of Leon return to headline the festival for the second time. With seven albums under their belt and an arsenal of hits to their name, the Nashville rockers continue to be on of the genre's most in-demand bands. Completing the set is Reading and Leeds veterans Fall Out Boy. The Chicago four-piece have long established their place on the festival bill over the last decade with hits such as Dance, Dance, Thnks fr th Mmrs and Centuries. Also announced today are Dua Lipa, Post Malone, Sum 41, J Hus, Annie Mac, Brockhampton and more across the three days. On the announcement, Festival Republic's Melvin Benn said: "“Reading and Leeds prides itself on being a music-first festival and this year’s line-up already proves that. Kings of Leon and Fall Out Boy are bands that have grown with the festival and its fans and we couldn’t be more pleased to invite them back to headline. "Adding Panic! at the Disco and Kendrick Lamar, probably the most sought-after act in the world right now, we think Reading and Leeds Festivals 2018 are off to an amazing start – with even more to come, so watch this space." Tickets, accommodation and extras to Reading and Leeds Festivals are now on sale. Book your trip to either by clicking here.